The Civic Society supports the HLF funded "Revealing Oldknow's Legacy" project which includes three sites; Mellor Mill, Marple Aqueduct and Marple Lime Kilns. The project officer is looking for volunteers to help monitor and evaluate the project. A variety of roles are available including speaking to members of the public at planned events to obtain their feedback, issuing and collecting questionaires and data input. Training will be provided in Marple during the second week in April with the work continuing until April 2017. 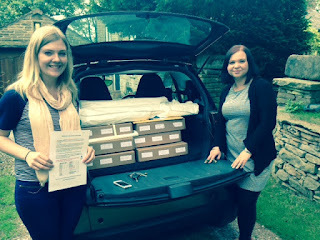 In July 2015 "Heritage Skills for the Future" trainees Hayley Du Buisson and Sophie Kembrey delivered the first part of their project for the Civic Society. Starting with several boxes of mixed documents dating back to the 1960's they sorted, evaluated and catalogued the entire collection. The collection is now available to members and friends for research and general interest. The catalogue/ index of contents can be found HERE or by going to our website news page and looking under "Book and Document Archive" then "Archived Society Documents"
Thanks to Hayley and Sophie, Stockport MBC Heritage Department and the Heritage Lottery Fund - Skills for the Future Programme, who funded the project. Part 2 of their project, the video oral history interview with our president Angus Yeaman, will be delivered shortly and will be made available to the public on our website and on loan to members and friends. The meeting included an Open Forum discussion with residents on "Traffic Congestion and Parking"
Several problem areas were highlighted and councillor Ingham asked the officers present to take note and feedback on several issues. Next Meeting 16th March 2016 - Subject for Open Forum Discussion "Neighbourhood Planning"
The society's planning team has sent a response to Stockport MBC's Planning Department to recommend the refusal of planning application DC/060499 - Proposed Housing Development on Site of Dale Primary School. Following the society's suggestions of ways to improve public participation in Area Committee meetings (see HERE) the Area Committee Chair convened an extraordinary Area Committee meeting in October 2015. Stockport Democratic Services have since announced a programme of open forum discussions for residents to air their views. The first of these will take place this evening (10th February) in Marple Senior Citizens Hall at 6-00pm. Councillors will be present from 5-30pm for informal discussions with residents. The first topic will be traffic congestion and parking in the district centre. The Government is consulting on the National Planning Policy Framework with a view to updating the legislation later in the year. Civic Voice is responding on behalf of the Civic Movement and has asked for our views on the proposals. In particular it is interested in our views on starter homes, use of brownfield sites and use of the Green Belt land. 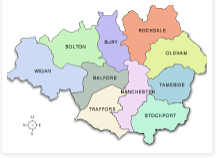 The Greater Manchester Spacial Framework (GMSF) brings together the 10 authorities of Greater Manchester to identify future housing and land requirements. They will produce a statutory joint Development Plan Document to manage the supply of land in Greater Manchester over the next 20 years. The first GMSF consultation is now complete.